We are down to the little, final details in the kitchen. 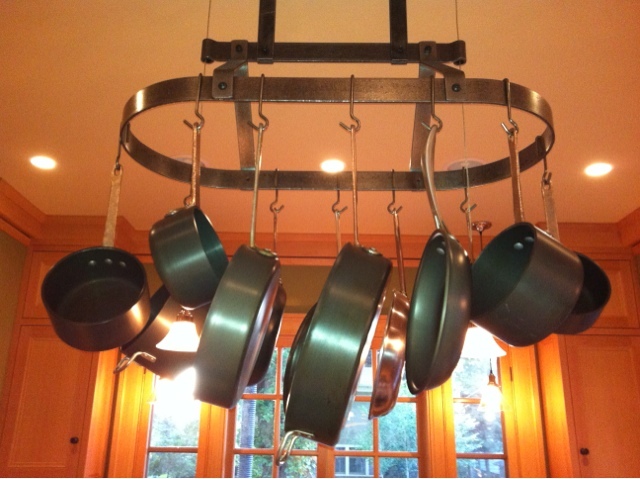 This week, the pot rack went up, which makes my husband particularly pleased because his mother gave it to him decades ago. I finally read Medium Raw by Anthony Bourdain. I read it with my ears because he reads it himself and I like audiobooks best when they are read by the author. It was a little name-droppy at times, but I got a kick out of it. He is so enthusiastic. Even when he complains about things, he has such enthusiasm for his gripes.